First published in 1986. Gerald C. Meyers believes that a crisis in business – as in life – is often foreseeable. He also believes that it can be managed, offering an unprecedented opportunity for positive change in a company. If you are to succeed in business today, you must learn to manage rapid change, you must learn to manage crisis. Meyers has developed a plan for practical crisis management. He explains the stages of a business crisis and then details nine common types, incorporating case histories from 31 instructive corporate upheavals and the comments of the executives who went through them. 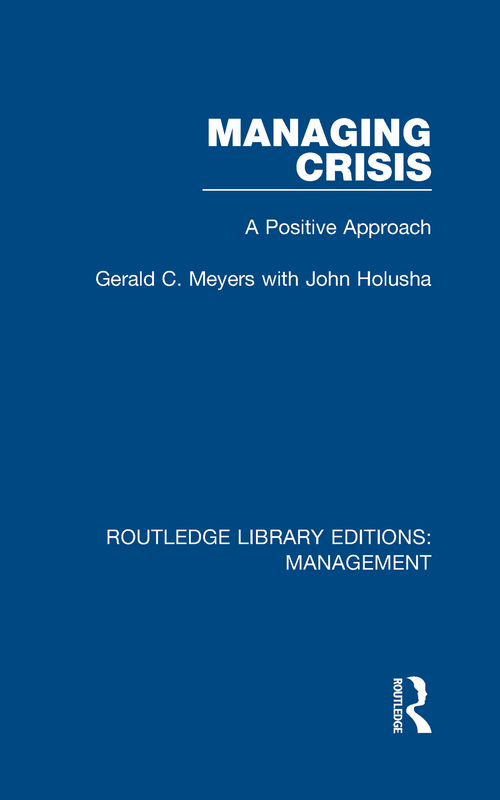 Finally, the author offers ways to minimise the impact of these crises. He lists step-by-step procedures to employ in each case, and gives advice on forming a crisis management team and developing early warning systems.